Welcome to the Fan Page for CALIFORNIA BOUND. 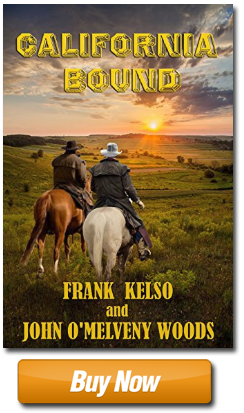 John O’Melveny Woods and Frank Kelso want this page to become a place you can visit often before, during, and after reading their book. The western novel sinks and rises in popularity at the whim of the fates. Louis L’Amour has 200 million copies of his novels and short stories in print around the world. An enviable record. It standards as a tribute to the western man embodied in L’Amour’s stories. After WWII, the western faded from view until TV resurrected the strong, silent, virile Hollywood stereotypes. John and Frank loved those westerns. They watched them all. A favorite was “Have Gun-Will Travel,” also called Paladin. Fame is fleeting on television and the western again fell from favor. Some print publishers dropped western novels from their offerings until Hollywood brought the western to life again. Butch Cassidy and the Sundance Kid, a 1969 film, became the classic “buddy movie.” Butch never ordered Sundance to do anything. Butch came up with a plan, and let Sundance decide if he’d come along. They got along with each other because neither tried to force one other-they were equals. Mutual respect was the glue that bound them. Lonesome Dove is given credit for breathing life-saving resuscitation into the western genre in 1985. The Hollywood western used a fiddle-footed side-kick as comic relief to a “manly” star. McMurtry settled that question once and for all. Gus and Woodrow were a team of equals. If the book, in the days before internet and Amazon, loaded the bases with 1 million sales in hard back, the 4-episode TV mini-series knocked records out the park. Who can think of a scene in the book, without picturing Robert Duval as Gus, or Tommy Lee Jones as Call. The 1989 TV mini-series set the bar high for western movies that followed: Dances with Wolves (1990), Quigley Down Under (1990), Unforgiven (1992), Tombstone (1993) or Wyatt Earp (1994) (John and Frank thought Costner did a better role in Open Range in 2011 with Robert Duval), and last but not least, The Revenant(2015). We hope you enjoy their version of a “buddy” story in CALIFORNIA BOUND. Jeb and Zach are stronger as a team than either is alone. They published CALIFORNIA BOUND first in the series because it establishes what the pair became. To explain their commitment to one another, they wrote a prequel novella DEATH AT CAMP DOUGLAS. It is available only from this WEB page to those who join their email list. The list allows them, as authors, to share new information about upcoming books, special events, and contests available only to fans on the e-mail list. Their way of rewarding readers. Thanks for riding on this adventure with them. 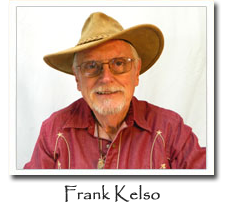 You are invited to send them an email with your thoughts and questions about the Old West. 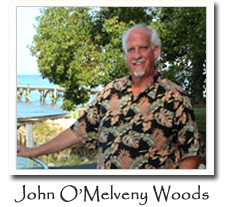 Follow John and Frank on their WEB-pages, Facebook, Twitter, Instagram, Google+, and Pinterest. One last thing: Please leave an honest review on Amazon. Reviews help guide other readers to find new books.